In writing my novel, The Shadow Fabric, research has taken me down a dark route – something which I cannot deny. A place of shadows, yes, and of demons, and other places beyond our mundane senses... and then there's everything dead that belongs with it. But it's the demon that has intrigued me, yet not one actually features in my book – well, not quite. So instead, I write about them here. Demonology, a long-lost science involving the study of demons and witchcraft, evil spirits and the occult; a not so exact science that would be preferred these days. In a world of space travel and near-miracle cures to diseases so easily murderous five hundred years into our past, a lot of this mystical science is underlined with ambiguity. So, to any researcher, the knowledge and many words of Demonology remains shrouded with skepticism and leaving one somewhat reserved regarding any of its mysteries and claims, historical evidence and the like. The term demon was not always understood to have the negative and somewhat evil annotation that it does today. Our current use of this term simply describes an evil spirit, and comes to us primarily from New Testament writers. 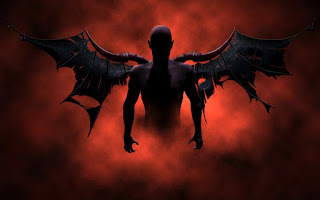 However, there is still uncertainty as to whether demons are considered to be totally separate from Satan and his fallen angels, or exist as Satan's alter-ego, or his outer-personalities if you like. Those who alter and twist destiny. Also called the duende de casa, who cause mischief like the removing of objects, pulling of bedclothes, etc. Both stimulate lust and perversion. An incubus is the male, whilst a succubus is the female. Those whom see to it that war defies Man’s reasoning. Those which assist witches, and eat, live and lie with Man himself. Those whom interrupt the mind of a sleeping man. Demons coming to birth amid the odour whilst man and woman are tangled in any sexual act. Those demons whom disguise themselves as either man or woman. The demons which victimise only holy men. Those that pollute the minds of elderly women (called xorguinae or bruxae), and have them believing that they are bewitched and capable of flight. No doubt you have heard of a few of these – at least two, I suspect – but you'll find a number of other demons listed below, the majority of whom I've not once come across before. Some I recognise from reading horror and fantasy, and certainly some from films. 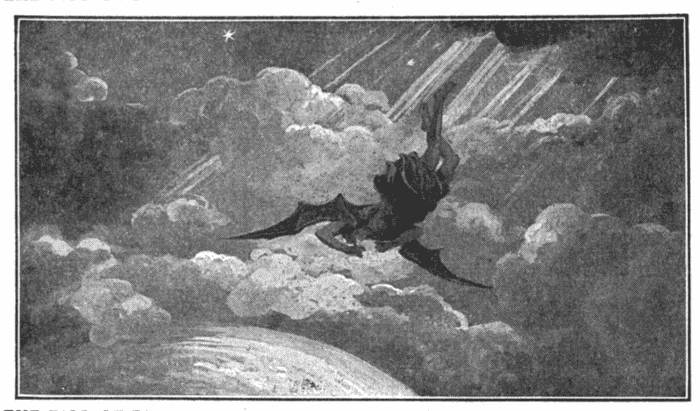 Abaddon - The demon of the bottomless pit, identified as an ‘angel’ [Revelation 9:11]. Known also as Abaddan. The Greek translation is Apollyon. Abigorr - A demon conjured for his powers of premonition and views into the future, providing military aid and other such warlike advice. Acham - The demon of Thursday. Ahriman - Demon of lies and deceit. Alrinach - A demon of shipwrecks. Alocer - The demon of astrology. Any - The presiding demon of Hell. Anamalech - The demon of bad news. Andras - The demon of discord. Aquiel - The demon of Sunday. Arachula - A demon of the air. Ardad - Demon that leads travellers astray. Ascaroth - Demon of spies and informers. Asmodeus - Said to be the King of demons, although is actually third in rank from Satan himself, also known as Ashmedai, Hebraic for ‘Destroyer’. In Hebrew mythology he is known to ride upon the back of a dragon, and appears in the form of a beast with three heads (those of a bull, a man and a ram), the tail of a snake and feet of a goose. He is a demon of self-indulgence of luxury and sinful desire, and as a result assists Mankind with the Third Deadliest of Sins: Lust. His Queen is named as Lilith although there is speculation concerning this. Astaroth - Demon of idleness and sloth, accusation and inquisition, also known as Ashtoroth. He is believed to know all secrets and could be only be summoned on Wednesdays, and then only between the hours of ten and eleven at night, he would appear in the form of a half-white and half-black human male. He is reputed to be accursed with foul-smelling breath. Astaroth was once known as the nature goddess Astarte, although due to severe punishment he became a male demon. Azezel - A fallen angel cast from Heaven for refusing to worship Adam. His name was changed to Eblis, meaning ‘despair.’ In Islamic demonology he was said to be a Djinn, which were a fearsome species kin to Elementals. 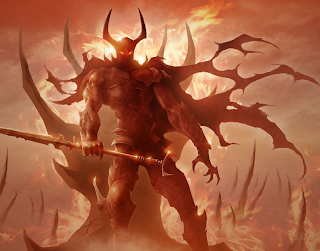 Baal - Once an Egyptian God during the Eighteenth Dynasty he has become a Ruler of Demons. When this transition came about is not known. Balberith - A demon of murder, arguments and blasphemy. 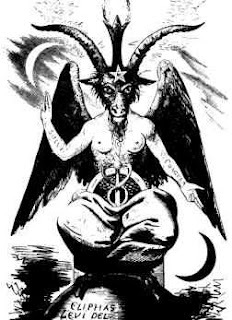 Baphomet - This demon is named, either from the corruption of Mohammed or derived from two Greek words meaning ‘absorption of knowledge.’ It is said that this demon resides in the form of a cloven-footed goat-headed winged beast. Bechard - The demon with power over winds and tempests. Bechet - The demon of Friday. Beelzebub - A demon regarded as the leading representation of the fallen gods; in Matthew 12:24, he is mentioned as ‘Prince of the Devils.’ It is translated as ‘Lord of Flies’ represented inevitably as a giant fly, although it is said that his preferred form is that of a huge black-haired beast with two large horns, vast bat-like wings, webbed feet and the tale of a lion. Aside being known to the Cyreneans as Achor, his others names are Beelzeboul and Baalzebub. The latter translating as ‘Lord of the High House.’ He is next in rank to Satan himself, and assists Mankind with the Sixth Deadliest of Sins: Gluttony. Behemoth - The demon of delights of the belly and over indulgence. Belial - The Prince of card and dice, and a demon of the Sidonians. Belias - The demon of arrogance. Belphegor - Originally the Assyrian form of ‘Baal-Poer’, the Moabotish god associated with licentiousness and orgies. Legend proclaims that he was sent from Hell to Earth in order to discover whether there was such an emotional trait as married happiness. He is the demon whom assists Mankind with the Seventh Deadliest of Sins: Vanity. Braathwaate - Demon of ignorance. Bucon - The demon of hatred. Byleth - One of the Kings of Hell. Carnivean - Demon of obscenity and shamelessness. Carreau - Demon of heartlessness. Cheitan - Demon born of Smoke. Demogorgon - Once a name to be feared, and never to be uttered, a 4th-century writer named Lactantius first wrote of him. Further details are unknown. Elmek - Demon of sharp objects. Glauneck - A demon with powers over hidden treasures. Gressil - Demon of impurity and uncleanness. Haunt - A demon to have risen from the shadow of Man's first sin. Iuvart - Demon of possession. Lagasse - Demon of hypocrisy. Lanithro - Demon of the air. Leviathan - In Hebrew this demon’s name is translated into ‘that which gathers itself into folds.’ He is the demon whom assists Mankind with the Sixth Deadliest of Sins: Envy. Lucifer - A name wrongly referring to Satan, which is most likely the result from a misreading of Isaiah 14:12 and is a totally separate demon altogether, although it is said that Lucifer was the original name of Satan before he fell from heaven. As the Prince of lies he assists Mankind with the First Deadliest of Sins: Pride. Mammon - Although not originally a demon, the word ‘mammon. was known as ‘money’ or ‘riches’ in Syrian terms. From the words of Christ [Matthew 6:24] he entered the realm of demons. Once known as a Prince of tempters, he has become acknowledged as the demon of the love of money. He is the demon whom assists Mankind with the Second Deadliest of Sins: Avarice. Mastiphal - A Prince of Darkness. Merihim - A demon of pestilence. Oeillet - Demon of the vow breaking of poverty. Olivier - Demon of cruelty towards the poor and unfortunate. Pan - Originally known as a Greek god, the spirit of lands and livestock, later became known as a pipe-playing, goat-hooved horned demon, aptly named The Horned God. Pytho - The Prince of the Spirits of lies. 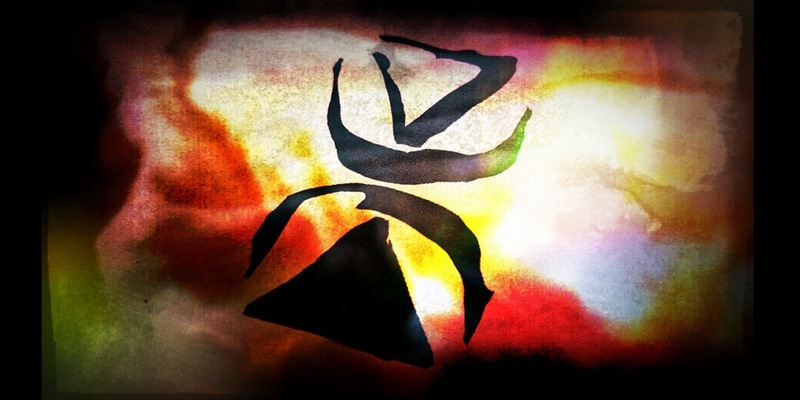 Rosier - Demon of falling in love. Saalah - Demon that entices into the woods. Satan - The original angel to first fall from heaven, becoming God’s ultimate adversary, which in Hebrew is exactly what it means: Adversary. In Hebrew it means ‘Diablos’ meaning ‘devil.’ As Satan is the dark equivalent of light, the opposition of God, every religion knows of him: Ahriman to the Zoroastrian; Mara to the Buddha; Seth to the Egyptian. Sonneillon - The demon of hatred towards enemies. Tenebrion - Spirit of Darkness. Verdelet - Demon who carries witches to Sabbath. Verrier - Demon of disobedience. Verrine - Demon of impatience. Here I've named only a few demons, although according to Alphonsus de Spina in 1459 approximately one third of God’s angels became demons and that there were precisely 133,306,668 of them. A separate source claims that a total of 6,660,000 demons commanded by 66 princes, whilst another announces a number of demons totalling 7,409,127 beneath the command of 79 princes. During the sixteenth century an authority claimed that the number of demons active equalled to over half the population of the world. Any demon not written beneath any particular hierarchy exists as an Angel of the Third Hierarchy, and holds an equal rank with the next, all being commanded by the Prince Iuvart. Despite my hard efforts in compiling this information, I am open to debate - or indeed correction - regarding its authenticity. If demonology interests you, then perhaps you'd like to read the opening pages of The Shadow Fabric? Unable to blink, I shot a quick glance around the dining room. My heartbeat stormed my head. I had to get out of there, I had to leave the other men to it. These brothers had a lot of hate to throw around. The black fabric draped across the table and chair, tracing every contour. It flowed over the wood like liquid. Hugging tight whatever it touched, it turned everything into a shadow, a silhouette, a featureless dark blot of its former self. The way it moved defied physics. My throat clamped around a cry that came out a whimper. I had no idea what Stanley intended. The strange fabric didn’t travel far from his hand, and where the material ended, it rippled and pulsed, pulling further away, yet unable to claim more of its surroundings. The more it unfolded, the dimmer the room became. My skin itched as it sapped the light. Victor and Stanley stood facing each other: Victor, with his eyebrows pushed together, the ornate blade clenched in a fist, and Stanley, with his jaw tight and a twitch at the edge of his mouth. In Stanley’s grasp the fabric quivered, its material reminding me of the way midday sunlight reflects from the surface of a swimming pool, the ripples a criss-crossing of movement. It was peaceful to behold, hypnotic almost. But this thing was dark and stifling to observe. There was nothing remotely tranquil about this. I wanted to leave them to whatever absurd game this was…yet my feet refused to move. The familiar ache in my knee rushed through my body, drumming in my skull, telling me I was useless. Since the car accident the knee often was useless. I couldn’t leave Victor, I knew that. The man looked as terrified as I felt. “I hate you, Victor.” Stanley’s nose was no more than a thumb’s width from his brother’s. I didn’t know who or what Victor spoke to. Was it Stanley? The shadows? The knife? In a blur of darkness, shadows coiling his arm, the blade slammed into Stanley’s chest. Blood spread and he staggered back. Victor’s eyes widened. Clutching the weapon, he stumbled from the fireplace, away from his brother. The knife slid out, sucking at the wound. A jet of scarlet misted the air, and then oozed. I could only see darkness…so much darkness, and my lungs went tight. The fabric—the Shadow Fabric—closed around Stanley’s buckling legs. The remaining material swept from the table, away from the violin case. Black tentacles whipped and grabbed Stanley. The darkness enfolded him as his eyes glazed over. It dragged his body along the carpet a short distance and tightened its grip. My jaw muscles twitched as I clenched my teeth. The Fabric began to shrink. Still in its embrace, the last I saw of Stanley was his dead stare. “Vic…” I whispered, and gripped the back of the sofa. My boss dragged his eyes away from the retreating shadows and stared at the knife. Behind him, the mantel clock hammered out several seconds before the weapon slipped from his hand onto the carpet, where it bounced with a red splash. I dashed across the room as much as my leg would allow and staggered to a halt beside him. Sobs wracked his frame as I grasped his bony shoulder. On the table next to where Stanley had been standing was the violin case, still open like a crooked yawn. A million thoughts tumbled through my head, but I couldn’t find the words. I’d been Victor’s chauffeur for no more than a day, and already I’d witnessed him stab his own brother. What the hell? I don’t know how long I remained like that, holding him, with light creeping reluctantly back into the room. Victor shouldn’t have been surprised that the shadows had taken his brother. After all, those shadows—the darkness—are associated with all that is dead…or should be dead. Silence clogged the air like we were buried in a tomb. For some of us, there is a moment in our lives where all we’ve believed real is whipped out from under us and we’re left to survive in a world that’s a lie. All the things in life we’ve taken for granted are sheathed in a weak veneer, behind which stands the shadows. For me, this was one of those moments. from all bookshops and also Amazon. Mark Cassell lives in a rural part of the UK with his wife and a number of animals. He often dreams of dystopian futures, peculiar creatures, and flitting shadows. Primarily a horror writer, his steampunk, fantasy, and SF stories have featured in several anthologies and ezines. His debut novel, The Shadow Fabric, is a supernatural story and is available from Amazon. This information seems accurate and honest and matches what I have learned through texts, websites, ect. Brill article,shaitan means adversary and there were many shaitans.Diablos means hell in Spanish. As an author who is writing a story that requires copious amounts of demons this list is a life savor. It is so hard to find reliable info on these things and this list helps so much with that. (c)2015 Mark Cassell . Simple theme. Powered by Blogger.